Explanation: Seemingly adrift in a cosmic sea of stars and glowing gas, the delicate, floating apparition near the center (next to a blue tinted star) of this widefield view is cataloged as NGC 7635 - The Bubble Nebula. 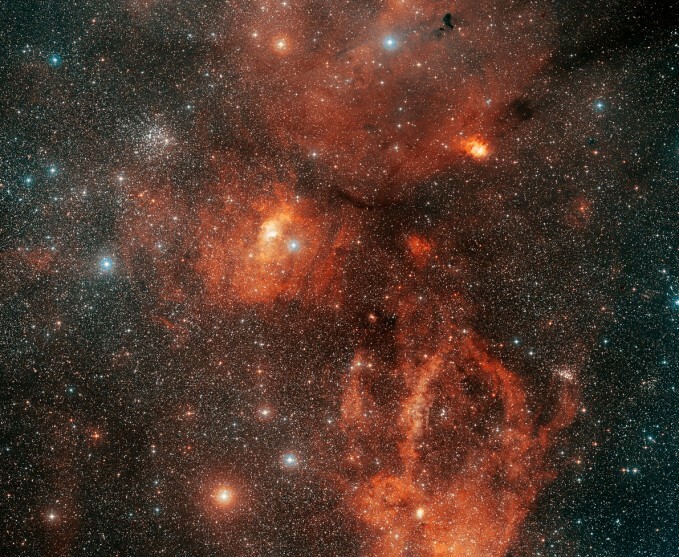 A mere 10 light-years wide, the tiny Bubble Nebula and the larger complex of interstellar gas and dust clouds are found about 11,000 light-years distant, straddling the boundary between the parental constellations Cepheus and Cassiopeia. Also included in the breathtaking vista is open star cluster M52 (upper left), some 5,000 light-years away. The digital color picture is based on photographic plates taken at the Palomar Observatory between 1992 and 1997. 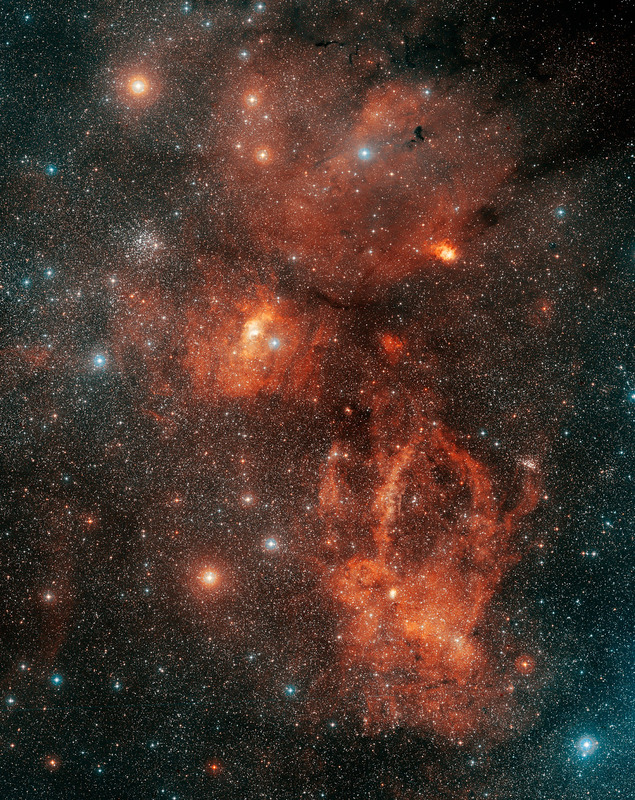 This cropped version spans about 2.7 degrees on the sky corresponding to a width of just over 500 light-years at the estimated distance of the Bubble Nebula.